When someone thinks of a tote bag, it’s easy to think of an oversized bag, filled to the brim for an outing, precariously balanced to ensure the contents don’t spill out. However the newer editions on the market – small tote bags with zippers – are changing the game. No longer a bulky item used to carry large quantities necessary for long road trips or beach excursions, but rather a sleek, polished bag that ensures all items remain properly secured. The only disadvantage to the tote bag with zippers is also it’s greatest advantage. Capable of holding large amounts of items is crucial to the integrity of what the tote bag is, however it can be bulky in some environments. So while the tote bag is perfect for group outings, when you’re going out with children, the beach and road trips- it’s not advisable to bring to formal events, or your boss’ dinner party. Zippered totes can vary in prize ranging just a few dollars, to the higher end of hundreds of dollars. 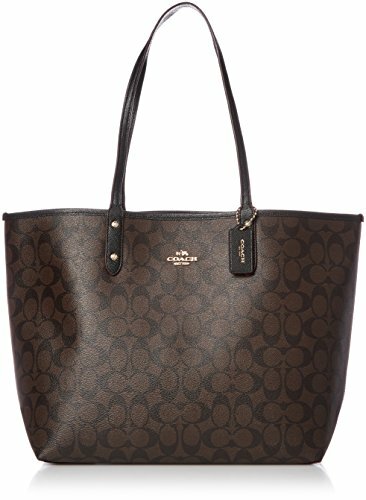 The price difference highlights the quality of the tote- the less expensive ones tend to have limited carry capacity and less organization options in term of pockets. The more expensive zippered totes are made with stronger material, some with a multitude if pockets secured by zippers, and generally come with reinforced bottoms that allow the bag to stand on it’s own without toppling over. Often it is best to invest in quality, but it all depends on what you need. Simple Design but Sturdy fabric--- 100% polyester fabric, very sturdy and reusable; the fabric has a waterproof layer inside for insulating or protecting the items inside in rainy day. Enough length strong straps for putting on your shoulders. There is a colorful three side zipper outside, on one hand, it makes the bag more pretty, one the other hand, actually it is a pouch outside for groceries storage. One of the cheaper options for small tote bags with zippers out there is by a brand named iwill Create Pro. 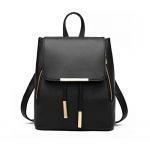 The bag can easily be found on discount and provides excellent value for money. While the main compartment is not zippered, there is one external pocket that is. The brand boasts of a waterproof liner on the inside of the tote that allows for potentially damageable items to be protected during a sudden weather change or a spilt drink on the bag. Although lacking the normal pockets found within a tote bag, this brand create a one hundred percent polyester fabric, which allows for a formidable weight tolerance for such an inexpensive bag. Beyond that, a common downside to large totes is the amount of room they take up in one’s personal space. Furthermore, it is hard to customize these type of bags unlike backpacks with patches, but they are great value for money and everyone should have on. This bag comes with an interesting folding technique that allow the bag to be compacted into a more appealing size- that of a large wallet. A wallet-sized expandable tote would allow for the tote to be carried inside another bag or in the glove compartment of a car. This allows for quick retrieval for various purposes- anywhere from carrying groceries to placing small, easily lost items in the tote. The zippered section of the tote would allow for items requiring easy access such as a phone, wallet or keys. The majority of reviewers on Amazon gave it 5 stars, resulting in around 4.3/5 stars overall. Users stated the bag was great quality and perfect for their day to day usage for carrying groceries or for making trips to the beach. The rare user had issues with the size of the bag, although size descriptions are clearly marked. Overall, the majority of buyers found this bag to be perfect for their needs, and with a stunningly awesome price to put the cherry on top. Definitely the right choice for re-introducing oneself into the idea of small tote bags with zippers, due to its durability and the price. Material:Durable Heavy Canvas,Top zipper closure.Classic Striped print design. Zippered main compartment along with 2 outside pockets,2 wall pocket,1 inside zippered pocket. 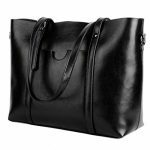 A slightly more expensive option but with higher-quality and enhanced durability for small tote bags with zippers, lies with the brand Lavogel. Their stripped zippered tote comes with added pockets for those needing a little more organization in their life. Two inside wall pockets, one inside zippered pocket and two outside pocket, as well as a zipper on the main compartment ensure the little things won’t be lost in the chaos that is life. The design on the bag ensures that the small zippered tote can be used on a day to day basis, as a purse or on special occasions such as a beach trip or a picnic. The large main compartment can contain multiple items, such as towels, magazines, small laptops or books. While light and not overly large this stripped beauty allows for weight bearing capabilities not usually found in an bag of this size. A startling 4.9/5 stars seems to prove the high quality and durability of this gorgeous tote. A customer found the thicker canvas easy to heat transfer decals onto, allowing for easy customization if anyone wants to ensure their zippered tote does not blend into the sea of small totes with zippers that are flooding the market currently. Always keep in mind that organization is key to finding all the important things on long trips, so trying small tote bags with zippers might be the way to go! Definitely the new must have item for those day trips or for brunch with friends, small tote bags with zippers are certainly instrumental in carrying all the just in case items to the every day what if I get bored entertainment. Smaller, compactable totes are built for people on the go, with more than enough to carry, while the more expandable ones are for more of a day to day organizer on the go. Tote bags now a days are a lot more aesthetically pleasing than the old canvas ones that everyone remembers from sunny beach day vacations. Hopefully the sense of owning a tote bag might spread among the public more in the coming months. Anything from setting one in the back seat of your car to organize the little stuff, to bringing a towel and a book to the beach for a day of tanning- small totes are the way to go, just remember the zippers!